We have been serving the needs of the poultry industry since 1995. Our reputation for exceeding customer expectations is well documented. Whether your needs are new construction, renovation, or design management, we will work with you to complete your project within your budget. Brian Ramey is a graduate of Clemson University with a degree in Agricultural Engineering. 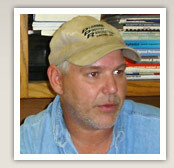 He has over 30 years of poultry plant construction and mechanical experience. His expertise ranges from project and maintenance management to corporate engineering, with successful management of projects with extreme scope and cost. He has a thorough knowledge of the processes, practices, and principles of today’s poultry operations, and has established an effective working relationship with engineers in the industry regarding building design and construction, equipment manufacturing, and installation. He will work directly with OSHA, SBCCI, USDA, DNREC, and other regulatory agencies to insure a quality project. AutoCAD, MS Project, Lotus, Excel, and Word are just some of the tools Brian utilizes. Jay James, Owner of J & J Shop of Laurel, DE since 1988, has manufactured poultry process conveyors and performed process renovations and installations for numerous top poultry processors on the Delmarva Peninsula. His vast experience with Hytrol type conveyors, Langley lifts, and Overhead Doors as well as an impeccable reputation for quality insures your project will be done right the first time. 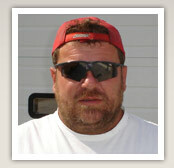 Paul Morris has been a Job Foreman with PPR since 1996. His management of installations and knowledge of the poultry industry allows PPR to complete your job within the required timeframe. 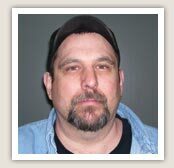 Paul has experience with time management, running a large crew as a field foreman, and completing quality work in high stressful situations. Tommy joined PPR in 2005 and is now our Project Manager. His knowledge of the process of food processing plans and ability to plan and execute helps PPR to keep the impeccable reputation that we have. His attention to detail will insure your equipment will be installed exactly to blueprints and running properly. He has a vast knowledge of all types of poultry and mechanical equipment and strives to please every customer that he works for. 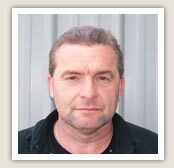 Terry Rager has been a Job Foreman with PPR since 1995. He has a great working knowledge of the entire process of Poultry processing plants and prides himself on the ability to run very large renovation projects and complete them in a timely manner. Terry works remotely where he manages all installations in the Shenandoah Valley operations of the Company. CAD Specialist Chris Lloyd spends the majority of his time on the front end of projects where he will take your sketches and ideas and complete a dimensioned drawing for approval by your staff before equipment is fabricated. Chris also works closely with the project manager to insure that the conveyors built are to specification and that the process of installation goes smoothly and is done in a timely manner. Equipment and now with PPR. His experience includes project design, management and installation. He now manages PPR’s engineering department. Sherwood is the metal shop foreman. He takes the blueprints and drawings and ensures that your custom built conveyors and machines are built to exact specifications and are done with precision and craftsmanship.